I don't think I've ever heard Elvis sing 'Girls Talk' live. Seems it's been a mainstay of the recent (sadly neccessarily abandoned) tour. Has anyone heard him sing it live, and if so, does he go with the propulsive Dave Edmunds arrangement or the more laid-back Elvis B-side version? Neil. - I’ve seen him sing it a few times and, as you’d expect, he has sung it in a number of different arrangements. verbal gymnastics wrote: Neil. - I’ve seen him sing it a few times and, as you’d expect, he has sung it in a number of different arrangements. I’ve also heard it, but not sure about VG’s interpretation ! .............VG , it is just you ! I've seen him do it a few times in Cardiff and Swansea- I think and he's often dedicated it to Dave Edmunds - it's always been a bit faster than the B-side but maybe not quite as fast as the Dave version - this probably doesn't help much does it ? First performed on the Wake Up Canada tour of November 1978 and at Cardiff at least 6 times as solo, with the Imposters and with Steve Nieve - each is different in pacing . The definitive band version is probably best demonstrated by the Sophia Gardens soundboard recording from 1979 - pm me your address and I'll snail mail you a copy if you want Neil ! Ive seen it a few times solo as well as by the Imposters. Not sure if i ever saw Attractions play it. Gotta check...i guess it is ALWAYS played more like the EC released take than the Dave version. Okay...i checked. Seen it about ten times. Solo, Imposters, Attractions...even with Steve duo and Rude 5 too. I remember it coming up a fair bit on the Attractions reunion tours - along with a joke about the career ending Curse of Costello (the original cover being pretty much Dave Edmunds sole hit) followed by a sheepish 'no that's not true'! you know jmm, i think initially mine was the only recording from this GREAT GREAT show. then, another surfaced a few months later if i recall correctly. naturally, i liked mine better. 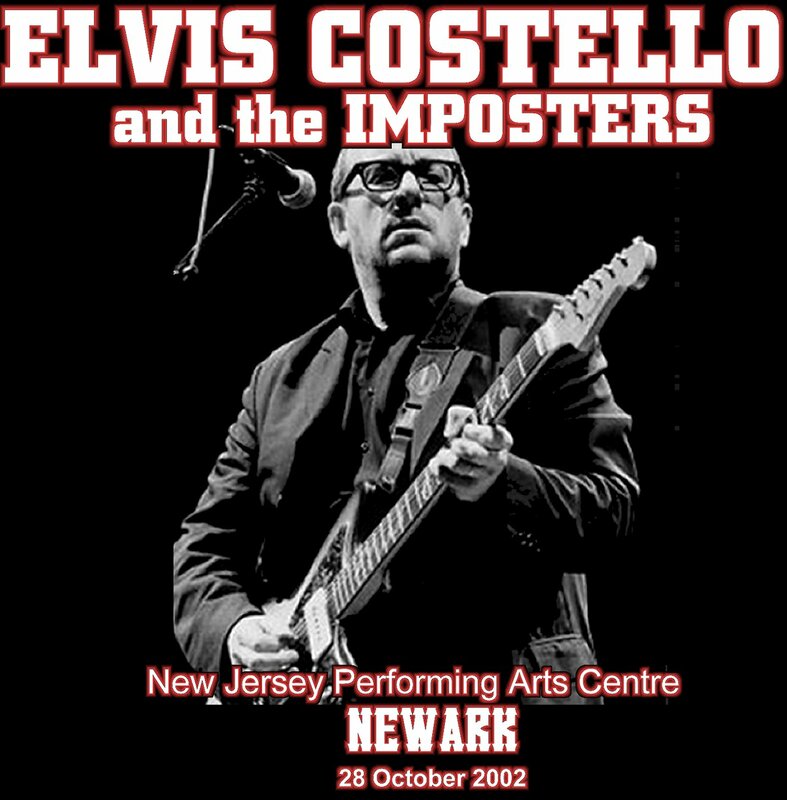 WindUpWorld wrote: I remember it coming up a fair bit on the Attractions reunion tours - along with a joke about the career ending Curse of Costello (the original cover being pretty much Dave Edmunds sole hit) followed by a sheepish 'no that's not true'! Last edited by bronxapostle on Mon Jul 09, 2018 6:31 am, edited 1 time in total. Great stuff - thanks, all. I have a funny feeling I might have seen it in the Cardiff 'Return of the Spinning Songbook'. Neil. wrote: Great stuff - thanks, all. I have a funny feeling I might have seen it in the Cardiff 'Return of the Spinning Songbook'. So did he go with the propulsive Dave Edmunds' arrangement or the more laid-back Elvis B-side version or was there alcohol involved...?! i see this is NOT my recording. i might have even had a mishap losing some music that night for a bad tape flip...ill check. perhaps doc can locate THIS recording. he loves sharing things like this at fans request, i bet he gets to it if he can find it! There would definitely have been alcohol involved! And you're quite right, it should totally be Girls' Talk!! sulky lad wrote: I've seen him do it a few times in Cardiff and Swansea- I think and he's often dedicated it to Dave Edmunds - it's always been a bit faster than the B-side but maybe not quite as fast as the Dave version - this probably doesn't help much does it ? First performed on the Wake Up Canada tour of November 1978 and at Cardiff at least 6 times as solo, with the Imposters and with Steve Nieve - each is different in pacing . The definitive band version is probably best demonstrated by the Sophia Gardens soundboard recording from 1979 - pm me your address and I'll snail mail you a copy if you want Neil ! Is that the modern day equivalent of "If you really want to bury my act..."? Last edited by jmm on Tue Jul 10, 2018 8:40 pm, edited 1 time in total.